Discussion of age demographics tend to circulate more around millennials above all others, while “Baby Boomers” and older groups almost seem to get swept under the rug. This ignorance of our senior population is unfortunate, especially considering their growing makeup of the US population. According to the US Department of Health and Human Services, by the year 2040, 25 percent of the population within the United States will be 60 and over. That is big, and with the rising amount of technology that monitors the security and safety of seniors, more people within the age group are beginning to live on their own. 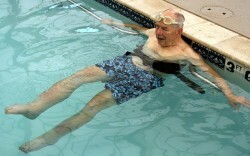 Still, it’s important to not forget basic safety measures that seniors and their caretakers should perform. Let’s take a look at a few. With older age comes fading eyesight, so having enough light in and around the house is essential to a senior’s safety. Using long-lasting, energy-efficient bulbs throughout the home is highly recommended. Nightlights should be in every bathroom, as well as hallways to increase visibility throughout the home. Regularly checking smoke and carbon monoxide detectors, as per the manufacturer guidelines, is extremely important not just for seniors, but for everyone. However, since some seniors may develop mild to severe forms of dementia, forgetting to check on the functionality of these devices is a huge and unfortunate possibility. 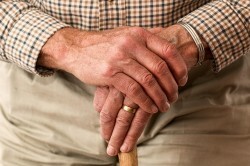 If you are a senior caretaker, ask if the detectors have been tested recently. There’s a chance you will want to test anyway just to be sure. Related to need for regular testing of detectors, dementia can also interfere with the judgement in elderly individuals. There have been cases where seniors have ingested deadly house-cleaning chemicals, thinking that it was medication or something that was harmless. Caregivers should ensure that chemicals stay in one specific location, while medications and food stay in other distinct locations. All risky substances should also be childproof, as family with younger children could visit. As many know, one of the biggest issues that seniors face is the risk of falling. According to the Centers for Disease Control and Prevention, 2.5 million seniors are treated in emergency rooms for fall-related injuries every year. While there may not be a solution out there that will prevent falls completely, several measures include keeping the floors as clean as possible at all times. Immediately clean up spills when they happen, wear high-traction socks and/or shoes, and make sure that floors are as level as possible. Caretakers should make sure that floors provide a stable environment as possible. As mentioned in the beginning, there are a variety of monitoring technologies that help seniors call for assistance in the event of an emergency. Monitored medical alert systems such as those from ADT Home Security will assist in dispatching local authorities to tend to an emergency situation. Caretakers can consider looking into a security whistle or bracelet for seniors that provide extra protection. @PaulTomBlog When does one officially become a senior? @Patrickm55P It depends on who you ask. I’ve seen anywhere between 55-65. @PaulTomBlog Well I’m officially 59 so….